What a beautiful day on the Grand Strand today and a perfect time to do some exploring in my golf cart provided by S2 Golf Cars located at 780 Hwy 17 S., Surfside Beach, SC 29575. I left the shop this morning and decided to head down to Ocean Blvd. to explore some great new places to eat. I had a hankering for seafood but wanted to be able to eat somewhere with a view of the ocean on such a beautiful day. Nestled next to a huge parking lot filled with golf carts of people that were enjoying the beach sat a cute little café that looked to be exactly what I was looking for. 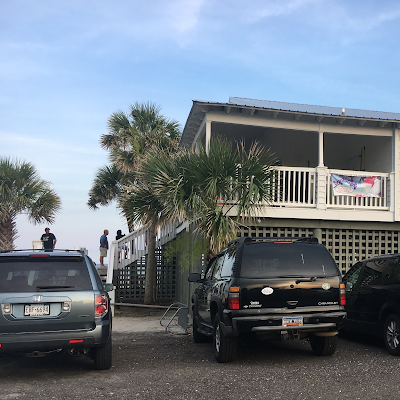 The Conch Café is located at 1870 North Waccamaw Drive in Garden City, SC 29576. It was around 3:00 pm so there wasn’t a line out the door, but with the view they had from the back deck, I am sure that it is packed on a regular basis. The hostess was very nice and walked me back to a seat on the deck with an absolutely breathtaking view. My waitress brought me a perfectly brewed glass of half and half iced tea and I started to browse the menu. They had everything from sandwiches to steak and seafood and the pricing was very reasonable. Service was very quick and before I knew it I was enjoying my Flounder Sandwich. It was lightly breaded, then fried and was topped with lettuce and tomato. 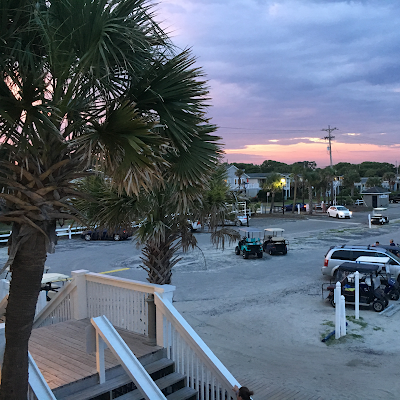 It was the perfect amount of food to sit and enjoy while watching the waves crash onto the beach. 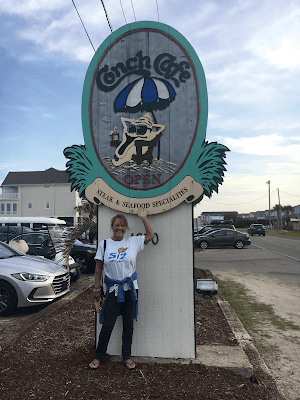 You can visit the Conch Café on your golf cart seven days a week in the summer. They open at 11:00 am and stay open until the crowd thins. There are daily specials and the staff is very pleasant. 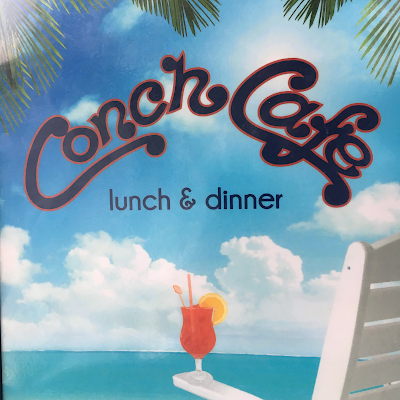 If you would like to visit their website, they are at www.conchcafe.net.